Tzean, S. S.*, L. S. Leu & H. T. Chu. 1974. Fungal flora of roots and rhizosphere from ratoon cane in Taiwan. Rept. Taiwan Sugar Res. Inst. 63: 69-117. Estey, R. H. & S. S. Tzean*. 1976. Scanning electron microscopy of the fungal nematode-trapping devices. Trans. Br. Mycol. Soc. 66: 520-522. Tzean, S. S.* & R. H. Estey. 1977. The ultrastructure of Nematoctonus leiosporus hyphae. Bot. Bull. Acad. Sin. 18: 143-151. Tzean, S. S.* & R. H. Estey. 1978. Schizophyllum commune Fr. as a destructive mycoparasite. Canadian Journal of Microbiology 24: 780-784. Tzean, S. S.* & R. H. Estey. 1978. Nematode-trapping fungi as mycopathogens. Phytopathology 68: 1266-1270. Tzean, S. S.*, M. C. Shu & T. T. Kuo. 1979. Influence of storage regimes upon the population dynamics of fungi on stored rice. Bot. Bull. Acad. Sin. [Taipei], New Ser. 20: 58-88. Tzean, S. S.* & R. H. Estey. 1979. Transmission electron microscopy of the fungal nematode-trapping devices. Canadian Journal of Plant Science 59: 785-795. Chow, Y. S., S. S. Tzean*, C. S. Chang & C. H. Wang. 1980. A morphological approach of the tarsonemid mites Steneotarsonemus spinki Simley (Tarsonemidas)as rice plant pest. Acta Arachnologica 29: 25-41. Tzean, S. S.* & Y. S. Huang. 1980. The occurrence and formation of vesicular-arbuscular mycorrhizae of citrus and maize. Bot. Bull. Acad. Sin. [Taipei], New Ser. 21: 119-134. Barron, G. L. & S. S. Tzean*. 1981. A subcuticular endoparasite attacking rotifers with three-pronged spores. Canadian Journal of Botany 59: 1207-1212. Estey, R. H. & S. S. Tzean*. 1981. An ultrastructural examination of nematode penetration by nematode-trapping fungi. Canadian Journal of Plant Science 61:785-789. Tzean, S. S.* & R. H. Estey. 1981. Species of Phytophthora and Pythium as nematode-destroying fungi. Journal of Nematology 13: 140-143. Tzean, S. S.* & G. L. Barron. 1981. A new and unusual fungus inhabiting the gut of free-living nematodes. Canadian Journal of Botany 59: 1861-1866. Tzean, S. S.* & G. L. Barron. 1983. A new predatory hyphomycete capturing bdelloid rotifers. Canadian Journal of Botany 61: 1345-1348. Tzean, S. S.*, C. L. Chu & H. J. Su. 1983. Spiroplasm-like organism in vesicular-arbuscular mycorrhizal fungus and its mycoparasite. Phytopathology 73:989-991. Ju, Y. M. & S. S. Tzean*. 1985. Investigations of Xylariaceae in Taiwan. II. The teleomorph of Hypoxylon. Trans. Mycol. Soc. R. O. C. 1: 13-27. Ju, Y. M. & S. S. Tzean*. 1985. Investigations of Xylariaceae in Taiwan. I. The teleomorph of Xylaria. Trans. Mycol. Soc. R. O. C. 1: 103-128. Tzean, S. S.* & C. L. Chu. 1985. Infectivity and nitrogen fixing activity of a species of Frankia from nodules of Alnus formosana. Proceedings of the National Science Council, R. O. C., Part B 9: 305-310. Hsieh, H. M., H. J. Su & S. S. Tzean*. 1987. The genus Penicillium in Taiwan. I.Two new taxa of synnematous Penicillium. Trans. Mycol. Soc. R. O. C. 2: 157-168. Su, C. Y., S. S. Tzean* & W. H. Ko. 1988. Beauveria bassiana as the lethal factor in a Taiwanese soil pernicious to sweet potato weevil, Cylas formicarius. Journ. Invert. Pathol. 52: 195-197. Shiao, M. S., L. J. Lin, C. Y. Lien, S. S. Tzean* & K. R. Lee. 1989. Natural products in Cordyceps. Proceedings of the National Science Council, R. O. C., Part B 13:382-387. Tzean, S. S.* & J. L. Chen. 1989. Two new species of Dictyosporium from Taiwan. Mycological Research 92: 497-502. Tzean, S. S.* & J. L. Chen. 1989. A new species of Trinacrium from Taiwan.Mycological Research 93: 391-393. Tzean, S. S.* & J. L. Chen. 1989. A new species of Triadelphia from Taiwan.Mycologia 81: 626-631. Tzean, S. S.* & J. L. Chen. 1989. A new species of Endophragmiella from Taiwan. Mycologia 81: 800-805. Tzean, S. S.* & J. G. Torrey. 1989. Germination and life cycle of Frankia in vitro. Canadian Journal of Microbiology 35: 801-806. Tzean, S. S.* & J. L. Chen. 1990. Cheiromoniliophora elegans gen. et sp. nov.(Hyphomycetes). Mycological Research 94: 424-427. Tzean, S. S.*, J. L. Chen, G. Y. Liou, C. C. Chen & W. H. Hsu. 1990. Aspergillus and related teleomorphs from Taiwan. Mycological Monograph of the Food Industry Research & Development Institute (1): iii+113pp. Chen, J. L., C. H. Hwang & S. S. Tzean*. 1991. Dictyosporium digitatum a new hyphomycetes from Taiwan. Mycological Research 95: 1145-1149. Tzean, S. S.* & J. L. Chen. 1991. Two new species of Dactylaria from Taiwan.Mycological Research 95: 1000-1004. Tzean, S. S.* & R. H. Estey. 1991. Geotrichopsis mycoparasitica gen. et sp. nov. (Hyphomycetes), a new mycoparasite. Mycological Research 95: 1350-1354. Liou, J. Y. & S. S. Tzean*. 1992. Stephanocyst as nematode-trapping and infecting propagules. Mycologia 84: 786-790. Tzean, S. S.* & R. H. Estey. 1992. Geotrichopsis mycoparasitica as a destructive mycoparasite. Mycological Research 96: 263-269. Tzean, S. S.*, J. L. Chen & H. H. Hsu. 1992. Talaromyces unicus sp. nov. from Taiwan. Mycologia 84: 739-749. Tzean, S. S.*, L. S. Hsieh, J. L. Chen & W. J. Wu. 1992. Nomuraea viridulus, a new entomogenous fungus from Taiwan. Mycologia 84: 781-786. Chen, J. L. & S. S. Tzean*. 1993. Megacapitula villosa gen. et sp. nov.(Hyphomycetes) from Taiwan. Mycological Research 97: 347-350. Chen, J. L. & S. S. Tzean*. 1993. Podosporium elongatum a new synnematous Hyphomycetes from Taiwan. Mycological Research 97: 637-640. Tzean, S. S.* & J. Y. Liou. 1993. Nematophagous resupinate basidiomycetous fungi. Phytopathology 83: 1015-1020. Tzean, S. S.*, L. S. Hsieh, J. L. Chen & W. J. Wu. 1993. Nomuraea cylindrospora comb. nov. Mycologia 85: 514-519. Lin, A., K. C. Huang, L. Hwu & S. S. Tzean*. 1994. Production of ribotoxins among Aspergillus species and its related fungi. Toxicon 33: 105-110. Wingfield, M. J., P. W. Crous & S. S. Tzean*. 1994. Leptographium elegans: a new species from Taiwan. Mycological Research 98(7): 781-785. Tzean, S. S.*, S. C. Chiu, J. L. Chen, S. H. Hseu, G. H. Lin, G. Y. Liou, C. C. Chen & W. H. Hsu. 1994. Penicillium and related teleomorphs from Taiwan. MycologicalMonograph of the Food Industry Research & Development Institute (9): v+159pp. Chen, J. L. & S. S. Tzean*. 1995. A new species of Ardhachandra from Taiwan. Mycological Research 99(3): 364-366. Chiu, S. C. & S. S. Tzean*. 1995. Glucanolytic enzyme production by Schizophyllum commune Fr. during mycoparasitism. Physiol. Mol. Plant Pathol. 46: 83-94. Liou, J. Y., G. Y. Liou & S. S. Tzean*. 1995. Dactylella formosana, a new nematode-trapping fungus from Taiwan. Mycological Research 99(6):751-755. Shih, H. L., C. P. Lin, R. F. Liou & S. S. Tzean*. 1995. Complete nucleotide sequence of Beauveria bassiana 5.8S rDNA coding gene and flanking internal transcribed spacers. DNA Sequence 5: 381-383. 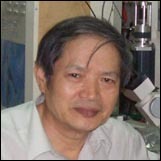 Tseng, T. C., J. C. Tu & S. S. Tzean*. 1995. Mycoflora and mycotoxins in dry bean (Phaseolus vulgaris) produced in Taiwan and in Ontario, Canada. Bot. Bull. Acad. Sin. [Taipei], New Ser. 36: 229-234. Liao, C. H., D. E. Mccallus, S. S. Tzean*, J. M. Wells & Y. G. Kang. 1996. DNA Sequence and characterization of the repB gene required for production of extracellular enzymes and soft rot pathogenicity in Pseudomonas viridiflava. Canadian Journal of Microbiology 42: 177-182. Hsieh, L. S., S. S. Tzean* & W. J. Wu. 1997. The genus Akanthomyces on spiders from Taiwan. Mycologia 89(2): 319-324. Liou, G. Y. & S. S. Tzean*. 1997. Phylogeny of Arthrobotrys and allied nematode-trapping fungi based on rDNA sequences. Mycologia 89: 876-884. Tzean, S. S.*, L. S. Hsieh & W. J. Wu. 1997. Atlas of Entomopathogenic Fungi from Taiwan. Council of Agriculture, Executive Yuan, Taiwan, R. O. C. 214pp. Tzean, S. S.*, L. S. Hsieh & W. J. Wu. 1997. The genus Gibellula on spiders from Taiwan. Mycologia 89(2): 309-318. Chen, J. L., T. L. Huang & S. S. Tzean*. 1998. Dactylella huisuniana, a new nematode-trapping fungus from Taiwan. Mycological Research: 102：1269-1273. Tzean, S. S.*, L. S. Hsieh & W. J. Wu. 1998. Torrubiella dimorpha, a new species of spider parasite from Taiwan. Mycological Research: 102: 1350-1354. Chen, J. L. & S. S. Tzean*. 1999. Two synnematous hyphomycetes from Taiwan. Fungal Science 14(1,2): 31-35. Chen, J. L. & S. S. Tzean*. 1999. Three species of Dictyosporium from Taiwan. Fungal Science 14(3,4): 105-109. Chen, J. L. & S. S. Tzean*. 1999. Two species of Trinacrium from Taiwan. Fungal Science 14(3,4): 111-115. Chen, J. L., T. L. Huang & S. S. Tzean*. 1999. Turturconchata, a new genus of Hyphomycetes from Taiwan. Mycological Research 103: 830-832. Chen, J. L., W. S. Lin & S. S. Tzean*. 1999. Aphanocladium macrosporum sp. nov. from Taiwan. Bot. Bull. Acad. Sin. [Taipei], New Ser. 40: 333-336. Liou, J. Y., J. Y. Shih & S. S. Tzean*. 1999. Esteya, a new genus of nematophagous fungus from Taiwan, attacking pinewood nematode Bursaphelenchus xylophilus. Mycological Research: 103: 242-248. Shen, H. D., W. L. Lin, M. F. Tam, S. R. Wang, S. S. Tzean, M. H. Huang & S. H. Han. 1999. Characterization of allergens from Penicillium oxalicum and P. notatum by immunoblotting and N-terminal amino acid sequence analysis.Clinical and Experimental Allergy 29: 642-651. Chen J. L. & S. S. Tzean. 2000. Conioscypha taiwaniana sp. nov. and several new records of the genus from Taiwan. Bot. Bull. Academia Sinic 41:315-322. Chen J. L., W. S. Lin, & S. S. Tzean. 2000. A new species of Lambdasporium from Taiwan. Bot. Bull. Acad. Sin. 41: 81-84. Chen J. L. & S. S. Tzean. 2000. There species of Spegezzinia (Hyhomycetes) from Taiwan. Fungal Science15：81-87. Chen J. L. & S. S. Tzean. 2000. An additional ten species of Stachbotrys from Taiwan. Fungal Science 15：93-107. Chung, C. H. & S. S. Tzean*. 2001. Notes on fungi from Taiwan: Two new names. Mycotaxon. 75：477-478. Chung, C. H. & S. S. Tzean*. 2001. Notes on the genera Turturconchata and Venustusporium (mitosporic fungi). Mycotaxon. 75：311-313. Luen H., C. J. Cho, S. S. Tzean, A. M. J. Lin, 2001. Nucleotide sequence and the action of rubotoxin gene (sar gene) of Penicillium isolates from Taiwan. Bot. Bull. Acad. Sin. 42: 101-107. Tzean, S.S., Hsieh, W. H., Chang, T. C., and WU, S. H. 2005. Fungal Flora of Taiwan. (1st ed.). Vol. I- V, 2422pp. National Science Council, Taiwan(R.O.C.) Press. Tzean,S. S., Huang, S. T., Song, H.C., Tzean, Y. M., Chen, L. K., Tong, K. H., Liou, Y. C., Liou, R. H., Yeh, H. H., and Shiao, M. S. 2005. Analysis of expressed sequence tags from Antrodia cinnamomea, a potential medicinal polypora. : manuscript submitted. Liao, C. H., Hoffman, G., Fett, W., and Tzean, S. S. 2005. Detection and analysis of a defective pectate lyase gene in Pseudomonas syringae pv. glycinea and related bacteria. Appl. Environ. Microbiol. : manuscript submitted. Chen, C. C., Ashok Kumar, H. G., Tzean, S. S., Yeh, K. W. 2005. Molecular cloning, haracterization, and expression analysis of an endochitinase cDNA from the entomopathogenic fungus, Paecilomyces javanicus. Curr. Genet. : manuscript submitted. Liao, C. H., G. Hoffman, W. Fett, and S. S. Tzean*. 2006. Detection and analysis of a defective pectate lyase gene in Pseudomonas syringae pv. glycinea and related bacteria. Can. J. Microbiol. 52: 1051-1059. Chen, C. C., H. G. Ashok Kumar, S. S. Tzean*, and K. W. Yeh. 2007. Molecular cloning, characterization, and expression analysis of an endochitinase cDNA from the entomopathogenic fungus, Paecilomyces javanicus. Curr. Microbiol. 55: 8-13. Chen J. L., and S. S. Tzean*. 2007. Hyphomycetes from Taiwan. Akanthomyces and allied species. Fung. Sci. 22: 63-77. J. L. Chen and S. S. Tzean*. 2008. Hyphomycetes- Beltrania and allied species from Taiwan. Taiwania. 53: 301-307. S. T. Huang, S. S. Tzean*, B. Y. Tsai* and H. J. Hsieh. 2009. Cloning and heterologous expression of a novel ligninolytic peroxidase gene from the poroid brown-rot fungus Antrodia cinnamomea. Microbiology. 155: 424–433. J. L. Chen and S. S. Tzean*. 2009. Hyphomycetes from Taiwan. Chaetendophragmia and allied species. Fung. Sci. In press. J. L. Chen and S. S. Tzean*. 2009. Hyphomycetes from Taiwan. Beltraniella and allied species. Taiwania. In press. Hsu, B.Y1., Tzean, Y1. and Tzean, S. S.* ,2009. Development of oligonucleotide microarray for simultaneous identification of multiple crucial Phellinus forest pathogens. Manuscript submitted. Huang, S.T., Tzean, S. S.*, Tsai, B. Y*. and Hsieh, H. J. 2009. The ligninolytic peroxidase in Antrodia and allied brown-rot basidiomycetes. FEMSMicrobiology Letters: Manuscript submitted. Tseng, M. N., Chong, P.J., and Tzean, S. S.* . 2009. Engineering melanin in an entomopathgenic fungus Metarhizum anisopliae to enhance antistress and virulence for insect control. Manuscript submitted. Tzean, S.S., Hsieh, W. H., Chang, T. C., and WU, S. H. 2009. Fungal Flora of Taiwan(Ⅱ). (2st ed.). National Science Council and Department of Plant Pathology and Microbiology, National Taiwan University, Taiwan(R.O.C.) In Pres. Jin-Liang Chen and Shean-Shong Tzean*. 2009. Hyphomycetes from Taiwan. Chaetendophragmia and allied species. Taiwania 54(2): 152-158. Jin-Liang Chen and Shean-Shong Tzean*. 2009. Some Hyphomycetes (Deuteromycotina) Beltraniella and its allies in Taiwan. Fung. Sci. 24(1-4): 1-14. Tseng, M. N., Chung, P. J. and Tzean, S. S. 2011. Enhancing the stress tolerance and virulence of an entomopathogen by metabolic engineering DHN-melanin biosynthesis genes. Applied and Environmental Microbiology : In press. Tzean, S. S*. , and C. L. Chu. 1985. Ultrastructure of parasitism of vesicular-arbuscular mycorrhizal fungal by Phlyctochytrium plurigobosum. In "Proceedings of the 6th North American Conference on Mycorrhizae" p.443. Tzean, S. S*. , and S. S. Jane. 1985. The occurrence of pine wood nematode, Bursaphelenchus xylophilus. In Taiwan. Proc. 6th R. O. C. Symposium on Electron Microscopy. pp. 38-39. Tzean, S. S. 1994. Taxonomic study of Deuteromycotina and related teleomorphs in Taiwan.In Biodiversity and Terrestrial Ecosystems. (C.-I Peng and C.H. Chou, eds.) Institute of Botany, Academic Sinica. Monograph Series No. 14. pp. 203-213. Taipei. S.T. Huang, S. S. Tzean*, B. Y. Tsai* and H. J. Hsieh. 2008. Cloning and heterologous expression of a novel ligninolytic peroxidase gene from poroid brown-rot fungus Antrodia cinnamomea. Microbiology: In press. S. S. Tzean. 2008. Multiple Roles of Fungi in Nature: Studies in mycological lab at National Taiwan University. Commonwealth Agricultural Bureau International, CABI, London,UK..
H. Y. Wu†, T. T. Liu†, T. H. Chou†, J. L. Yen†, K. M. Wu, Y. M. Liu, S. S. Tzean*, M. S. Shiao, S. H. Tsa*, and L. T. Ho*. 2009. Molecular cloning and characterization of mating type genes in medicinal mushroom Ganoderma lucidum. Fourth Asian Micological Conference (AMC). Taichung. Taiwan. 曾顯雄. 1985. 菌根菌之最近研究發展. '真菌學之最近發展'專題演講論文集專刊 (12): 45-70. 曾顯雄、簡相堂、邱順慶. 1985. 松材線蟲萎凋病及其在臺灣之發生. 國立臺灣大學病蟲害 (12): 1-19. 曾顯雄、朱耀沂. 1986. 松材線蟲與防治對策. 28 頁. 臺灣省林務局印. 曾顯雄. 1989. 線蟲之生物防治趨勢. '植物線蟲病害防治' 研討會專集 臺灣省農業試驗所特刊 25: 43-60. 曾顯雄、顏志恆. 1989. 臺灣松材線蟲之發生及其防治. '植物線蟲病害防治' 研討會專集 臺灣省農業試驗所特刊 25: 15-32. 曾顯雄. 1992. 真菌命名法. 菌種保存及研究中心簡訊. (16): 1-6. 曾顯雄. 1994. 寄生在昆蟲上的真菌. 科學月刊 25: 580-584. 曾顯雄、吳文哲. 1994. 臺灣蟲生真菌資源之調查. 生物農藥研究與發展研討會專刊 (10): 1-10. 曾顯雄. 1997. 臺灣松樹萎凋病之發生與生物防治初探. 林木病害研討會論文集. 7-16 頁. 中華林學叢書第 971 號. 中華林學會、省林試所印行. 王也珍, 吳聲華, 周文能, 張東柱, 陳桂玉, 陳淑芬, 陳城箖, 曾顯雄, 劉錦惠, 謝文瑞, 謝煥儒, 鍾兆玄, 簡秋源. 1999. 臺灣真菌名錄. ii+289pp. 行政院農業委員會. Tzean, S. S., W. H. Hsieh, T. C. Chang, and S. H. WU. 2005. Fungal Flora of Taiwan. (1st ed.). National Science Council, Taiwan (R.O.C.) Press. Vol. I-V, 2422 pp. Tzean, S. S., T. W. Huang, and J. L. Yuan. 2006. Altas of potential fungal pathogens associated with plants and its commodity imported to Taiwan. COA Press. 194 pp. Purification Process and Products with Anticancer and Antinflamation Activities Obtained from Fungi of Antrodia Species. Inventors, Tzean, S.S., Fang, S. H. and Lee, C. H. S.S.Tzean., J,Y,Liou., and J,Y,Shih. USA. 2001/~2017/.NEEMATOPHAGOUS FUNGUS:ESTEYA VERMICOLA.